Health Dimensions Group (HDG) is a leading consulting and management firm, providing services to post-acute, long-term care, and senior living providers as well as hospitals and health systems across the nation. Serving the industry for more than 20 years, HDG’s focus is on the aging services continuum. Every year, HDG identifies the top trends affecting the future of senior care. In 2019, the trends that will radically shape aging services include Medicare fee-for-service payment reform, value-based payment, occupancy challenges, swift action by investors, ongoing workforce issues, complex network development, managed care growth, improved psychosocial management, senior asset repurposing, rural health innovation, and aggressive cash management. Medicare fee-for-service (FFS) payment reform for post-acute care was front and center in 2018, with the Centers for Medicare & Medicaid Services (CMS) proposing and finalizing payment systems for both skilled nursing facilities (SNFs) and home health agencies (HHAs). In both sectors, payment reform focuses on replacing therapy-driven payment with payment that is based in large part on patient characteristics. Given the magnitude of change, CMS is giving both SNFs and HHAs over a year’s prior notice, meaning 2019 will be a time for preparation including staff training, review of the provision of therapy, mastery of assessment instrument items, and ICD-10 codes crucial for payment and evaluation of market opportunities to address the needs of medically complex patients. For SNFs, it will also mean that length of stay will be a new consideration for some patients requiring therapy, while HHAs will now have to master the implications of 30-day episodes instead of the previous 60-day episodes. In both sectors, the possibility of developing or enhancing new service lines and increased use of technology, such as telemedicine, creates exciting opportunities to expand scope of services and increase efficiency. 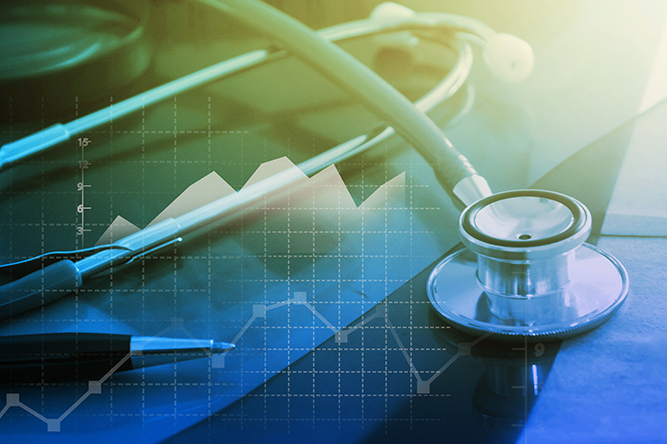 Driven by the physician payment law, 2019 will not only see continued momentum towards Advanced Alternative Payment Models (APMs), but also a push towards having these models incorporate downside risk in order to drive lower costs and increase quality. Through its “Pathways to Success” proposal, CMS is pushing accountable care organizations (ACOs) to move towards accepting risk on a quicker basis, or get out of the program. Similarly, the more than 1,700 health systems and physician group practices that signed up for Bundled Payments for Care Improvement Advanced (BPCI-A) starting October 1, 2018, will face a key decision in March 2019 on whether to stick with selected diagnostic categories or drop some or all of them for this round. CMS has already announced another round of BPCI-A to start on January 1, 2020, with the solicitation to begin in spring 2019. Given the importance of post-acute care to the success of Advanced APMs, 2019 will likely see increased use of preferred networks, clinical integration, and use of gainsharing and new payment relationships where risk is shared between upstream entities and post-acute care. Census and occupancy will remain a challenge to skilled nursing centers and senior housing providers, respectively. In skilled nursing, occupancy rates in Q2 2018 hit a record low of 81.7 percent. A large contributor to this dip is that, despite the large increase in Medicare Advantage enrollees, the Medicare Advantage mix has been flat. In other words, an increased number of Medicare Advantage enrollees does not equate to an increase in Medicare Advantage residents in the SNF population. Couple this with the fact that Medicare Advantage residents have a shorter average length of stay and a lower average daily rate than Fee for Service (FFS), skilled nursing providers will continue to see census and net operating income (NOI) pressures in 2019. Senior housing providers have not fared much better in 2018, with a stagnant Q3 2018 occupancy average of 87.9 percent (down 0.8 percent from the same period in 2017). Absorption rate of new units entering the market is a large contributing factor as new construction entering the market continues to outpace demand. Senior housing providers also face wages for staff outpacing the rent growth. Both of these factors negatively impact NOI and will continue into 2019. The stress factors on NOI have reduced the median net margin to below one percent for skilled nursing facilities. Despite what many post-acute health care providers describe as an increasingly difficult operating environment driven primarily by declining occupancies and growing labor costs, capital continues to pour into the senior care sector by investors making a long-term play in anticipation of the silver tsunami’s arrival in the future. Investors without operating experience in the senior care sector will look to forge partnerships with health care operators they expect will exercise stewardship in the operation of the business to ensure current and future returns never go at risk. Sadly, in recent years, numerous operators have failed to gain traction leaving the real estate investor the task of securing a new operator to step into what, in many cases, has become an impaired asset. Too often, this requires navigating a form of reorganization by the owner or lenders. The mitigation of this scenario requires that the investor install monitoring safeguards that facilitate accurate and timely reporting of operating trends so that swift action and course-correcting plans may be developed before the operation spirals into crisis. Health care organizations will also need to ensure deliberate talent acquisition strategies and an engaged workforce to increase employee retention, allowing them to better drive the level of quality, customer satisfaction, and financial performance. Due to the talent shortage, health care providers and even competitors will share staff and centralize back-office functions, allowing care centers to focus on what they do best – high quality patient care and service. The role of leadership will be more important than ever. Developing cultures of continuous learning and ensuring an agile organization will be crucial with the changing demands of an organization’s shift to meet consumerism demands. As the pressures of value-based payment meet the influx of capital into the senior care market, there will be innovative partnerships and cross-continuum service development. Providers and investors will be looking beyond the physical walls of senior care to create partnerships with others like Medicare Advantage payors, pharmacies and retail giants, home health, technology, and other provider groups. These innovative partnerships will reinvent the way the continuum works together to manage the quality and cost of senior care—not only for housing and health care, but for products and services as well. The capital and technology available will allow for collaboration and partnerships that even two years ago would have been unheard of. Alternative models to traditional Medicare FFS, such as Medicare Advantage, Institutional Special Needs Plans (ISNPs), and the Program of All-Inclusive Care for the Elderly (PACE), continue to grow in penetration and enrollment numbers. Medicare Advantage—which has lower SNF utilization, SNF average lengths of stay, and reimbursement than Medicare FFS—now covers 33.9 percent of Medicare eligibles, an increase from 28.2 percent just five years ago. PACE is an at-risk program designed to care for frail individuals by combining Medicaid and Medicare funding. The National PACE Association (NPA) has created PACE 2.0, which has a goal of increasing participant enrollment from nearly 50,000 nationally this year, to 200,000 by 2028 through increased penetration of potential populations and continued increase in the number of programs. The social determinants of health are the conditions in which people are born, grow, live, work and age (World Health Organization). While health systems and providers are addressing these non-medical factors as they work towards population health, hospitals continue to struggle with discharging patients who have complex psychosocial issues. As census continues to decline in skilled nursing and psychosocial issues climb, there will be an increase in discharge partnerships to transfer patients to post-acute settings to meet complex needs which have traditionally caused rapid discharge and readmission back to the acute-care hospital. From 2010 to 2017, the senior population aged 65 years and older increased nearly 26 percent, resulting in an increased need for senior care services. However, during this same time, the average daily census at skilled nursing facilities declined over four percent due to declines in utilization, length of stay, payment reform, alternative options, and client preference. Total licensed beds declined approximately one percent, and occupancy declined from 82 percent in 2010 to 79 percent in 2017. To adapt to the changing landscape, more SNFs will convert to senior housing alternatives, such as low-income or market rental apartments, specialized units like traumatic brain injury or mental health units, assisted living, or memory care assisted living, all of which have experienced increasing consumer demand. Rural providers will face even bigger challenges than the broader senior care market is facing in terms of census, revenue, and staffing. Successful rural SNFs will lead the charge towards innovation in revenue and service line development, new staffing models, and partnerships with other providers. Rural providers will be forced to lead the way using technology—such as telehealth—and streamlined staffing models to survive. These innovations will ensure ongoing availability of hands-on care providers in markets with the perfect storm of shrinking labor pools and aging demographics. Aggressive revenue cycle management to improve the speed and accuracy of cash collection will continue to be a trend in 2019. With the continuing growth of managed care contracts coupled with a challenging labor market, the skill sets available to manage this work will continue to be a rising factor in bottom line erosion for all facets of long-term care. Managed care organizations (MCOs) have seen their penetrations rise as high as nearly 68 percent in many markets, with Minnesota leading the way at 68.83 percent. The ability to understand, negotiate, and execute on these contracts can be a drain on a typical nursing home community. The use of centralized models will allow providers to outsource risk and maintain focus on its main area of expertise—patient care. For more information on how your organization can prepare for the coming changes in 2019, please contact Health Dimensions Group at 763.537.5700 or info@hdgi1.com.